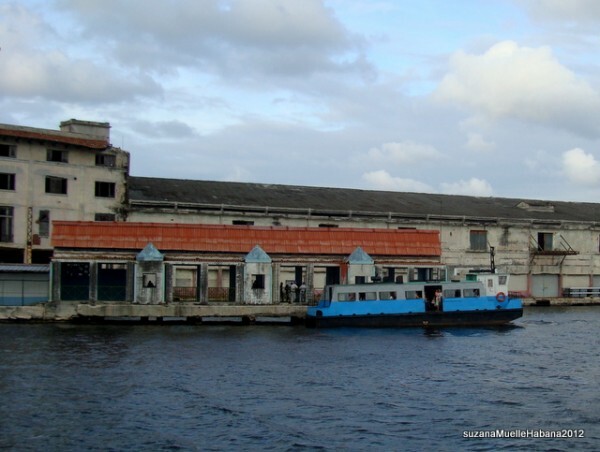 Havana ferry to Casa Blanca, Cuba! 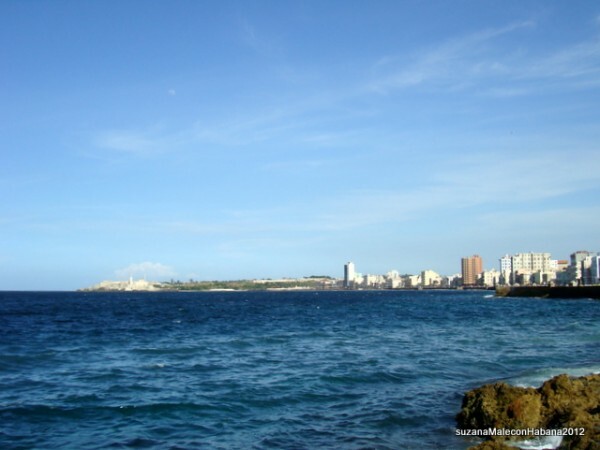 If you are walking down the “malecon” (coastal road fronting the sea wall) in Havana toward the harbour and Bahia of La Habana, your eyes will be drawn to the lighthouse (faro) standing proud on the cliff edge protecting one of Cuba’s spectacular natural harbours, the bay of Havana! 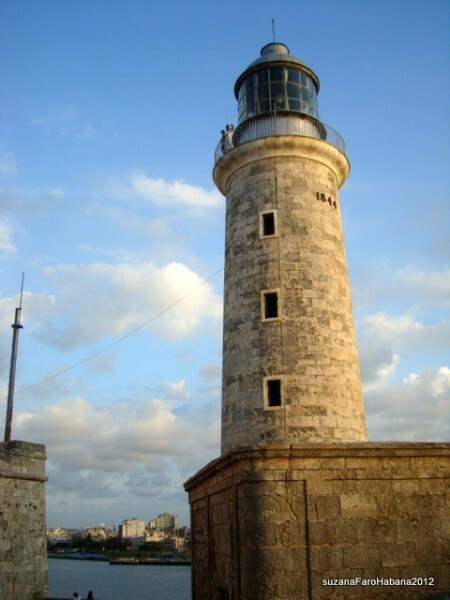 The lighthouse stands on the end of a promontory strongly fortified with huge walls and battlements, built by the Spanish Conquistadors to defend the city against pirates and other bounty seeking invaders. 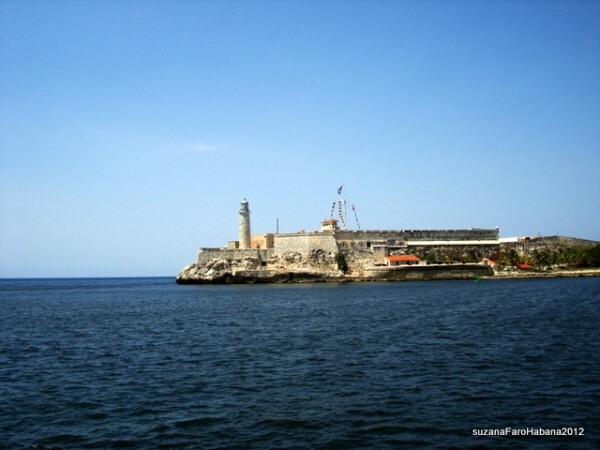 Opposite stands the old city of Havana, once a jewel of the Caribbean! 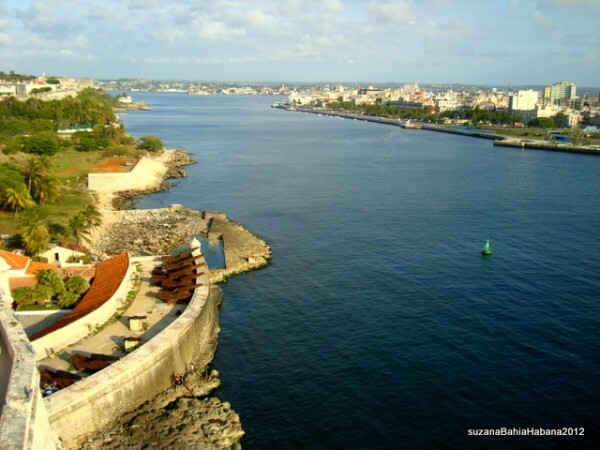 A road tunnel now links Havana to the other side of the bay, but locals who live in Casa Blanca (a community on the other side) make the crossing to and fro on the ferry to get to work and school. 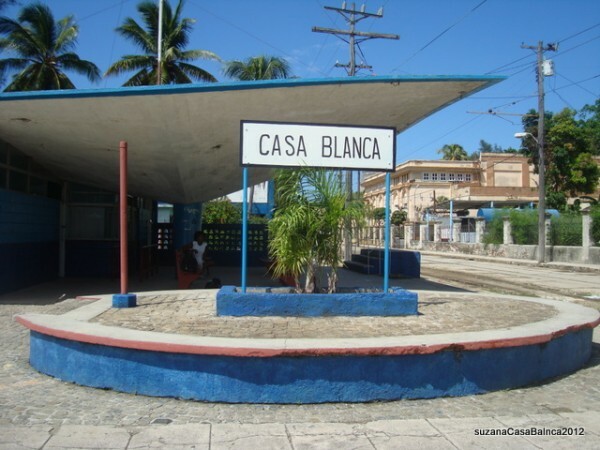 If you like boat trips then the ferry to Casa Blanca will be one you’ll enjoy, and once there you can walk up the hill to the statue of Blanco Cristo (White Christ) and enjoy the view. The ferry has a vauge time table…. It starts running around 6.30 to 7am and stops around 9.30 to 10pm and the crossing takes about 5 minutes. Once you have located the pier, which is opposite the new Russian Orthodox Church you will need to go through the police check point and join the queue which is undercover on the pier. The police will want to look inside your bags and require men to empty their pockets and maybe even do a body search!!! All a bit strict for a short ferry crossing you might think?? Well NO! In fact two or three ferries have been hijacked and sailed with all their passengers to foreign shores, namely the USA, where all Cubans are welcomed with open arms and helped to settle in! Another victory for the capitalists!! The story of one famous hijack is worth repeating! One day as the ferry left Casa Blanca to cross the bay a whole bunch of people boarded in party spirit. 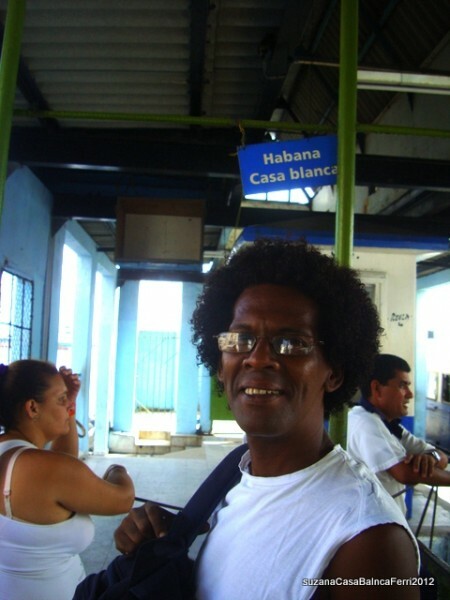 Through the police check with their crates of beer, bottles of rum, pots of food and snacks, tambores, maracas, guitaras, singing, dancing, laughing & joking. Men, women, children, adolescents, babies etc a big family outing! You get the picture!! An outing with a surprise! Half way across the bay the ferry turned left and headed out to sea, party still in full swing!! 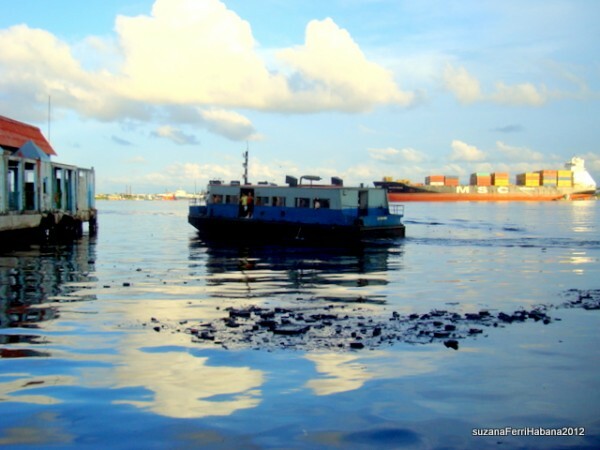 This change of route was noticed by the security police on the pier who notified the coast guard. The coast guard was not quick off the mark as they thought something on the lines of..“well the ferry has hardly any fuel they won’t get far!” How wrong they were! This had been well planned. The crates of beer were full but the bottles were full of fuel not beer and so the ferry partied on to Miami!!! So if you still want to chance the crossing, join the queue in the line marked Casa Blanca and when the ferry appears pay your peso to the official and jump on board! 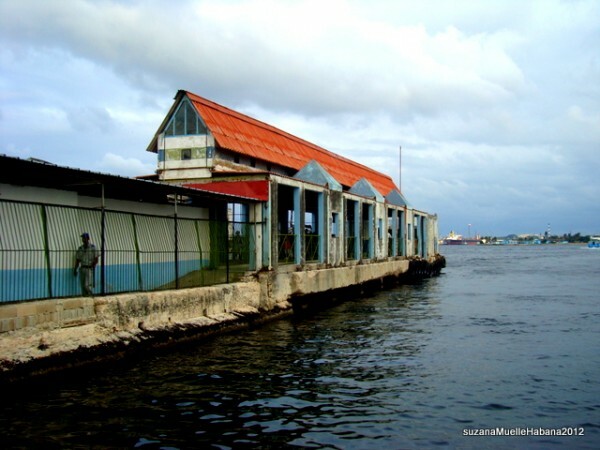 The price you pay for the ferry is one peso moneda nacional MN (not tourist money CUC) and before you start thinking this is very cheap, please remember that an average Cuban monthly salary is $20 to $40 US so that is only 500 to 1,000 pesos MN. Once on the ferry find a safe place to stand and hang on! Bicycles and other small cargo are allowed at no extra cost provided there is space. The journey is pretty smooth and eventless normally but you might want to take note of where they keep the life jackets! Exit the ferry and the ferry terminal at Casa Blanca and ahead of you a road leads up through a small park onto a road that leads to the statue of Jesus Blanco. For the last few months he has been encased in scaffolding but there is a view point worth reaching and the walk up takes about 10 to 15 minutes from the pier. It’s a lovely view over the old city and the bay is cleaner now than it used to be before the iron curtain fell and cut of the plentifull trade from this once thriving port! 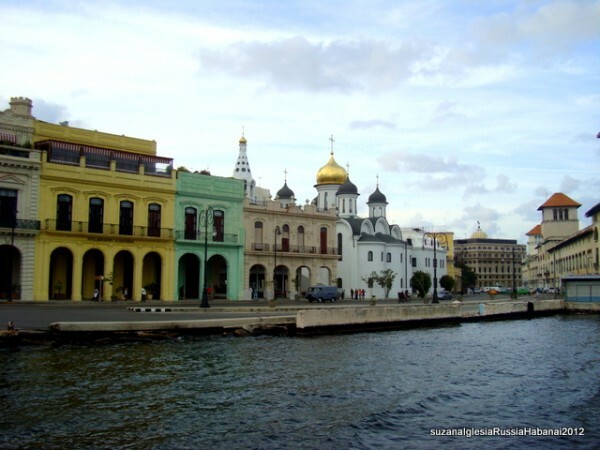 If you fancy a trip to Cuba and want some company why not join one of our small group tours. No more than 8 in a group with a dedicated tour leader throughout. Read more on our tours pages. If you have more time then “Mi Cubita” covers two weeks. 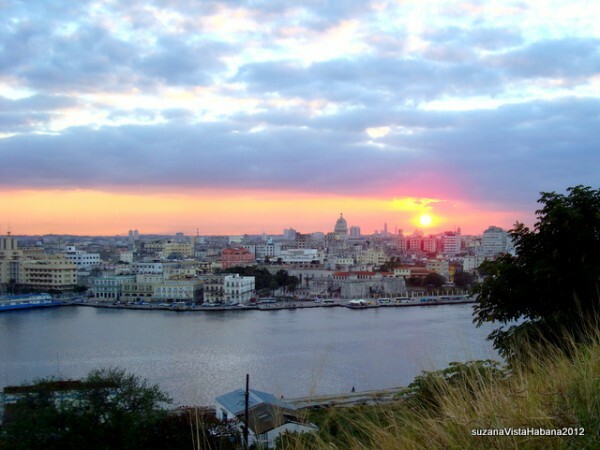 Read more about Cuba in our news posts.